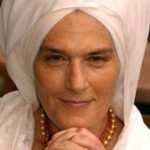 Gurmukh returns to Toronto following her sold-out January program! Abundance flows with love, happiness, prosperity, and success, which then results in vibrant good health. In order to live with abundance in this transition into the Aquarian Age, we must embrace the consciousness of abundance. What does that mean? Breathing, Thinking, Talking and Acting as beloved children of God, knowing we will always be supported. Then watch the manifestation of the laws of abundance in your life! It is the key to your spiritual success. When Lightworkers everywhere hold the money and power, the world with quickly transform. Let us experience and embrace abundance through an amazing Kundalini Yoga Kriya for breaking all blocks. Imprint it forever within. It is time. Let Faith replace stress. 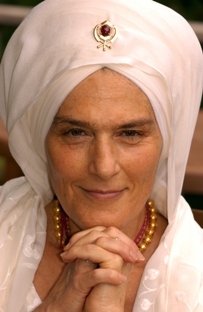 Gurmukh Kaur Khalsa, 68, is the co-founder and director of Golden Bridge Nite Moon, Los Angeles’ and New York City’s premier center for the study and practice of Kundalini Yoga and Meditation. For four decades students in Los Angeles and around the world have sought out her classes in Kundalini Yoga, Meditation, and Prenatal and Post-Natal Yoga. Since being baptized 40 years ago with the Sikh spiritual name meaning, “One who helps thousands across the world ocean,” Gurmukh has dedicated her life to fulfilling the destiny of her name.Gurmukh’s book, The Eight Human Talents, has been a long-time yoga best-seller along with her DVDs. Gurmukh founded Seva Corp., a nonprofit organization that supports many schools and orphanages in India, the U.S.A., Africa, Tibet, and Bhutan. She travels the world, training teachers in Kundalini Yoga, Khalsa Way Pre- and Post-Natal Yoga, Mommy & Me, and Toddlers’ and Children’s Yoga. As her Teacher Yogi Bhajan said, “We came not to gather students, but to create teachers.” Gurmukh has been married for 29 years and has a 27-year-old daughter.